It’s the middle of winter, you are running late for work, and you put your freezing cold car key in your ignition switch only to have it break off in your hand. Or, it’s the beginning of August, your car won’t turn on because of ignition switch problems and you’re stranded in the hot sun. No matter what time of year it is, you can always count on your local technicians at Georgetown Locksmith Pros to quickly provide ignition switch repair services for you. What Causes Ignition Switch Problems? The ignition switch is one of the most important parts on your vehicle. If the ignition switch isn’t working, your car might not start at all. And if you’ve got a busy schedule, you can’t afford to be stuck with a dead vehicle. Attempted theft often results in damage to the ignition switch. If someone tries to steal your vehicle, take it in to be inspected immediately. Using the wrong key can damage your ignition switch. Make sure you’re always using the right key so you don’t accidentally damage the mechanism. Over time, the mechanisms inside the ignition switch can start to wear down. If that’s the case, look into cleaning or repairing your switch or replacing it altogether. If you use a transponder key, it might no longer be functional. Just give us a call and we will come to replace or reprogram it for you. In some cases, a faulty ignition switch is simply a manufacturer defect. Fortunately, we can repair or replace it in no time. If your car isn’t operating properly and you’ve isolated the ignition switch as the problem, we are your local automotive locksmith experts waiting to help you out. With close locations and fast response times, you’ll be back on the road in no time. If you’re having car trouble, we are proud to offer some of the best locksmith services around. With a trained staff of experts and state-of-the-art technology, we’ve got the tools to provide you with the best service for your money. Besides being at your service 24-hours a day, we also offer emergency services, meaning we will arrive at your locating in less than half an hour. And, our friendly experts are all licensed, bonded and insured for your unparalleled protection. As a mobile business, we meet you wherever you are, eliminating a trip to the dealership. We work on all makes and models, both foreign and domestic. No matter what kind of vehicle you drive, we’re happy to help you get back on your schedule. In addition to ignition switch repair, we offer repair and replacement services for a wide range of keys, including general car keys, laser cut keys, transponder keys, and car fobs. Whatever you need, don’t hesitate to give us a call. We’d be proud to have your business. 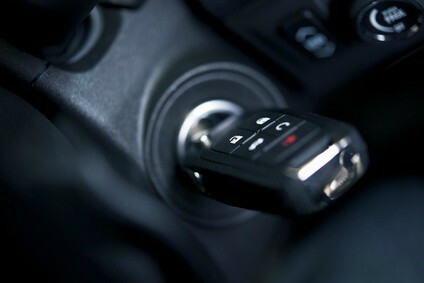 Ignition Switch Repair https://georgetown-locksmith.co/automotive/ignition-switch-repair/ 3.8/5 based upon 21 reviews.